I have been hesitant to be drawn into this alleged crime/false flag/hoax for the past few days as I do believe that a crime certainly had been committed and possibly several crimes to be sure but then the information came across my desk and this video is so compelling I had to share it and comment. 7 Things I learned today. The suspects were handcuffed and drug out of the back of the SUV. Now how is that possible if they were supposedly shooting at the police while driving. 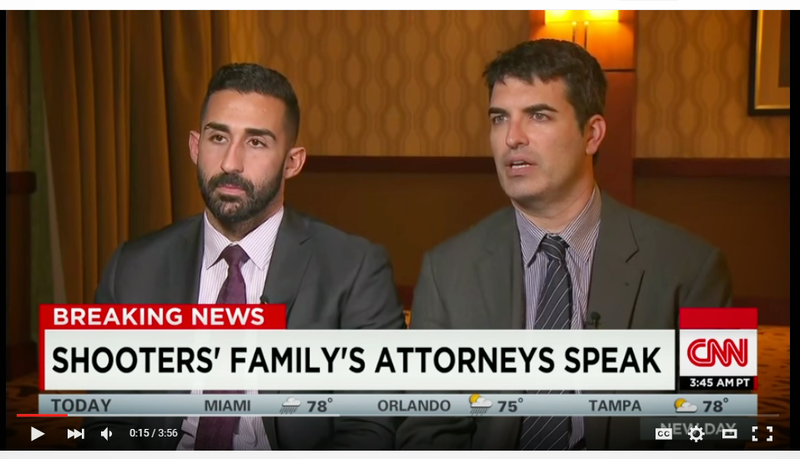 See video report with family’s lawyer who made this startling statement. The video of the company party was taken the night before, yet the MSM broadcast it as if it was the company party that got stormed the day of the Event. 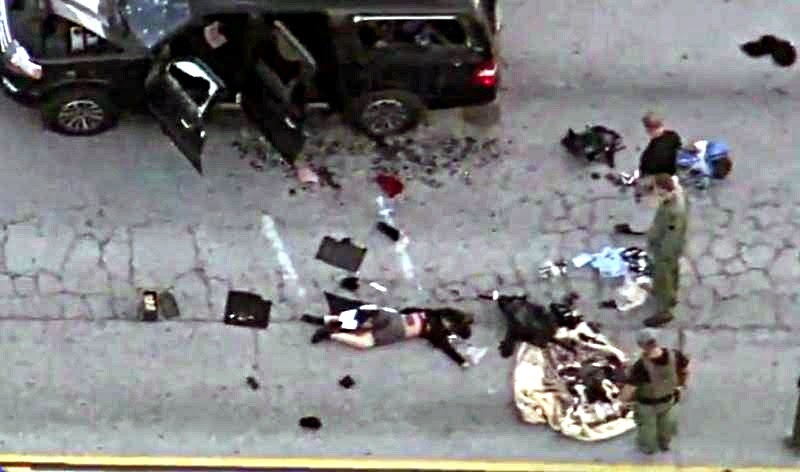 The woman was photographed lying on the ground dressed in a short skirt and not full body armor. The number of suspects went down from 3 men to 2 people, a woman and a man but how is it that they could not tell that one of the attackers was a woman? 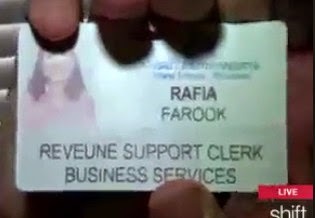 The word “revenue” on the woman’s official ID card was misspelled. Now they changed her name when they realized that the name they were using wasn’t a typical Arabic name for a female, and some even quible about how “Farook” is spelled, citing that the a”Q” should have been used if it were authentic. But the misspelled word is more damning, as I do know folks who will spell their name differently just to keep the confusion down to a minimum. See here. And then there’s Melissa’s video and that is what took me to the point of writing my commentary. I am not quite sure why there have been so many mass shootings during Obama’s Presidency. I do know that it is certainly giving me a headache and making me very, very sad. Some say it’s gun control, but like I cited in my other blog, he is really the biggest gun salesman of all time, cause as soon as he threatens more control, folks run out and buy more guns. I am not too sure how that is going to keep guns out of the hands of the masses, particularly when they are even more scared than they were yesterday. Add a few terrorist into the mix and you have a recipe for disaster. I do believe however, that it is a smoke screen to cover up the debacle that the Middle East has become for NATO and its most powerful military force, the USA. I am not cheering Putin for his aggression in Syria, while I do understand the geopolitical nature of his involvement, but I always think about the people on the ground, something that most people seem to forget. The want Putin to tear it up over there and get it over with. Meanwhile, more and more refugees will be fleeing Syria for surely Russia’s tactical team is precise. Now they are paying Turkey and some African countries to keep them in their borders. I have seen what refugee camps look like, and if there is any hope that the money that will be doled out to maintain will be used to improve their lives, I personally think is a huge stretch of the imagination. But at least the European countries won’t have to worry about the refugees coming into their borders, to hell with what happens to them after that. Why Have There Been More Mass Shootings Under Obama than the Four Previous Presidents Combined?